In Year 1 we aim to make the transition from EYFS to Year 1 as smooth and seamless as possible. We place the child͛s well-being at the centre of our curriculum and allow them to build up their independence and resilience as learners. We do this through the use of our multi-functional transition room where children can continue their learning journey through a familiar format but also have many opportunities to investigate, explore and extend their knowledge in relation to Year 1 objectives. At Star Mirdif, we actively promote enquiry-based learning that allows your child to become inquisitive, critical thinkers and independent learners, whilst also nurturing and developing their love of learning. 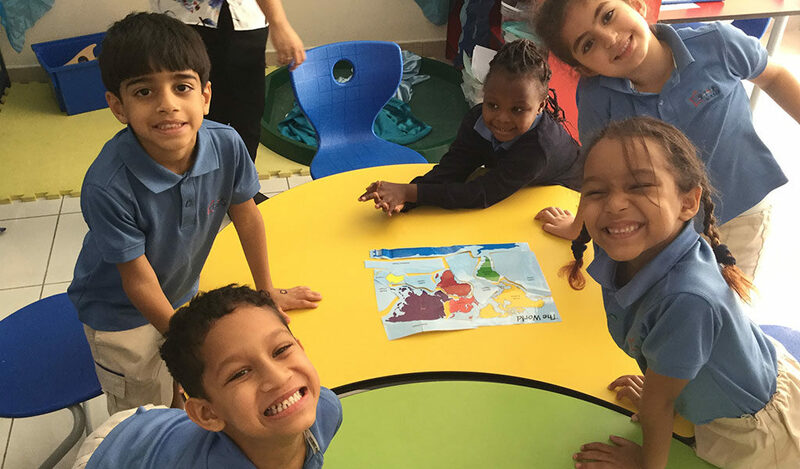 Children experience engaging, meaningful learning through our exciting themes and learn about the UAE, the UK, magical fairytales and much more! Star International School Mirdif is a bespoke English Curriculum school in the heart of Mirdif. We are very much a family school, with teachers, SLT, TAs, Admin and site staff all working alongside parents and the wider community to offer our children the best opportunities we possibly can.